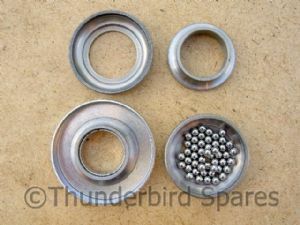 This is a new full set of cup and cone steering head bearings to fit the Triumph 350 & 500 twins from 1959-66 complete with the 48 3/16" ball bearings. Original part number were: H1130, H1140, H1110 & S70-4. Please note they do not fit 1967 and later models.